KIM WATERS Returns to Harford County for One Night ONLY! 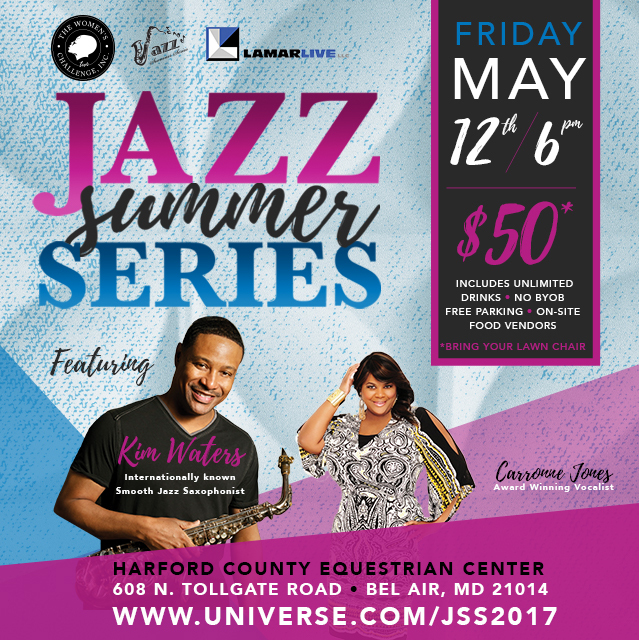 05.12.17 Comments Off on KIM WATERS Returns to Harford County for One Night ONLY! Saxophonist Kim Waters has made a career of writing timeless anthems with insatiable grooves, undeniable hooks and memorable melodies that combine the best of jazz, R&B, funk and soul. This formula has catapulted him to the top of the charts time and time again and prompted JazzTimes Magazine to declare, “Waters is simply one of the planet’s best saxophonists.” Instantly recognizable for his keen melodic sensibilities and soulful approach to his saxophone, The Washington Post has likened Waters to “A romantic pied piper out on a long evening stroll.” The prolific saxophonist, composer and producer has enjoyed a career longevity that is rare. Waters’ Zen-like approach to his life and artistry is simple. “My motto is to try and live in a way where I am not stressing about anything. What’s going to be is going to be. I strive to be happy because life is short.” It is with this pointed and in the moment approach that Waters’ delivers his most enjoyable solo effort yet, Rhythm and Romance. The album is dedicated to his inspirations – Kayla and Kimberly. “My daughters are my everything,” beams Waters. “They are smart, talented and focused. I am proud that they see me as a role model.” Rhythm and Romance showcases Waters’ compositional prowess and features seven dynamic originals and three re-workings of hits by Janet Jackson, Sam Smith and DeBarge. A Harford County, Maryland native from a musical family, Kim’s primary influences are jazz icons Duke Ellington, Charlie Parker, Coleman Hawkins, Herbie Hancock, George Benson, Paul Desmond, and Cannonball Adderley. His first instrument – at age 8 – was the violin (“That didn’t go over well with the fellas” says Waters) and within five years he found his true calling on the alto and soprano saxophones. Subsequently, KIM WATERS shared stages with many of the best including Ray Charles, Al Green, Isaac Hayes, Phyllis Hyman and Grover Washington, Jr., to name a very few.